South Korea says North Korean leader Kim Jong Un has made a shocking concession and agreed to meet with the US to talk about getting rid of his country’s nuclear weapons. President Donald Trump responded with cautious optimism, but there’s a “missing link” that the US could be missing out on. South Korea has motivations to give the US the most benevolent-sounding version of events to promote talks between the US and North Korea, but the truth may be darker than anyone has acknowledged. South Korean diplomats emerged from a meeting with North Korean leader Kim Jong Un this week with shocking news – that Kim appeared to back down amid international pressure and offered up talks with the US about denuclearization. While President Donald Trump met the development with cautious optimism, if it’s true, it would represent a huge concession from Pyongyang that could put the North on a path to peace and reconciliation with the world. But there’s a major “missing link” causing this analysis to skew premature, according to Yun Sun, a North Korea expert at the Stimson Center. South Korea’s special envoy will now head to the US to debrief Washington on the talks and share with the White House secret messages North Korea asked it to transmit, but Yun finds the circumstances suspicious. “South Korea has an innate interest to provide the most benevolent interpretation of what North Korea said,” said Yun, who pointed out that by Tuesday afternoon North Korean officials had yet to publicly comment on the apparent progress. 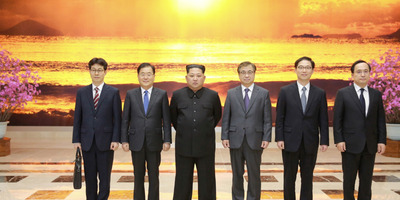 KCNAKim Jong Un meeting South Korean officials in Pyongyang, North Korea. South Korean President Moon Jae-in campaigned on a more engagement-heavy strategy, while his opposition favoured a harder, more militaristic approach to North Korea. But North Korea began aggressively testing its nuclear weapons and its missiles after his election, blocking most opportunity for engagement with Pyongyang. South Korea’s desire to see the US talk to North Koreans became apparent during the Winter Olympics, when, Yun said, diplomats “tried very hard” to make talks happen and Seoul’s diplomats themselves made concessions and let certain North Koreans skirt sanctions to facilitate its inclusion in the games. Additionally, a small tweak to North Korea’s language could make a big impact in talks. South Korean officials said Kim agreed to submit to talks with US under the precondition of denuclearization, for example, a considerable concession. But South Korean officials also said Kim cited denuclearization as a dying wish of his father, Kim Jong Il. It was the younger Kim, however, who wrote the possession of nuclear weapons into North Korea’s constitution, suggesting he either disobeyed his father’s dying wish, fabricated the wish, or is playing at some other, more nuanced game with the prospect of denuclearization. Also, when North Korea does eventually comment on the matter, it could say it agreed to something more complicated or less achievable than what the South described Tuesday, such as denuclearizing only if the US or the whole world does as well. 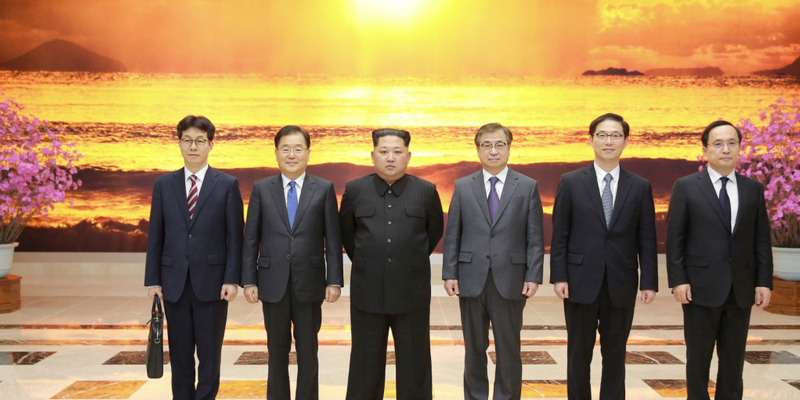 In Yun’s view, the US should examine how North Korea discusses the talks in its internal media to avoid being sold on a sanitised version of the talks by South Korea.